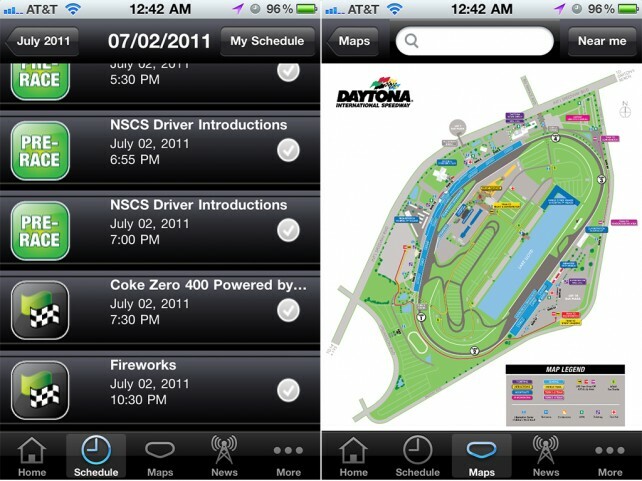 The Daytona International Speedway Mobile App is the ultimate event companion! 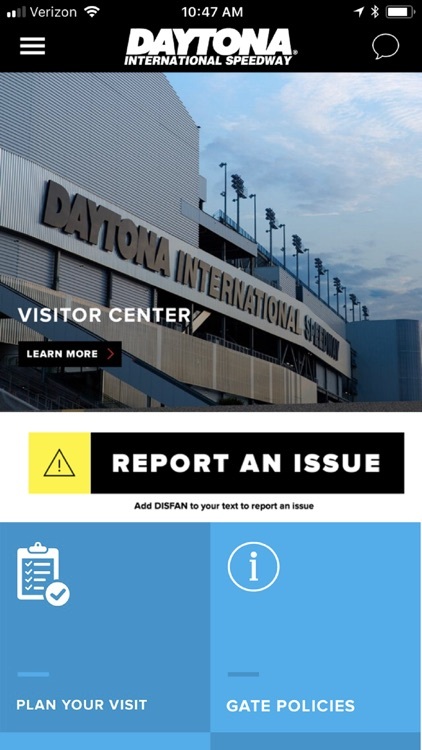 Find your way around Daytona International Speedway using the step-by-step navigation. 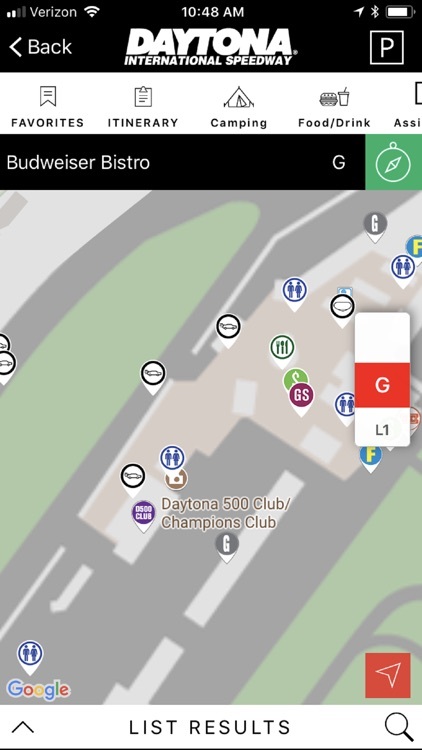 Looking for the nearest place to grab a Daytona Dog? 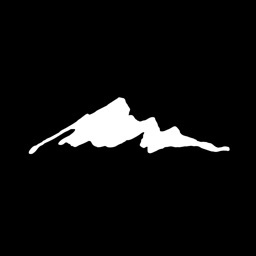 Our mobile app will not only show you where the nearest one is, it will tell you exactly how to get there. 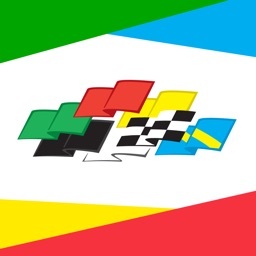 Trying to locate your car after spending the entire day rooting on your favorite driver? Drop a parking pin when you arrive and find your car in seconds. 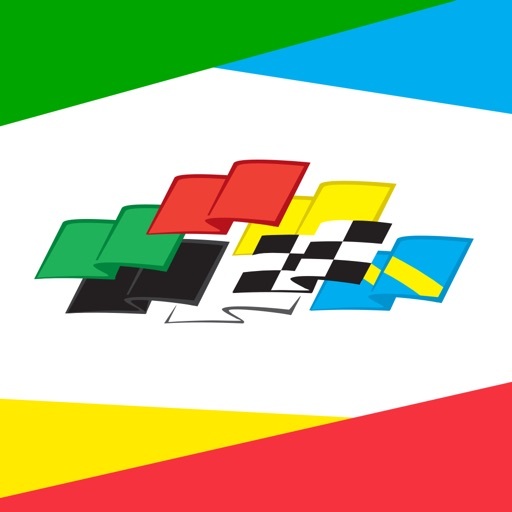 Not sure when the next autograph session is? 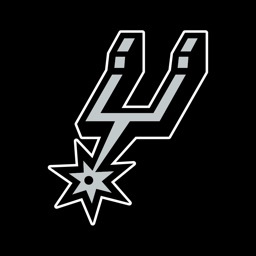 Stay up-to-date with our push messaging system. 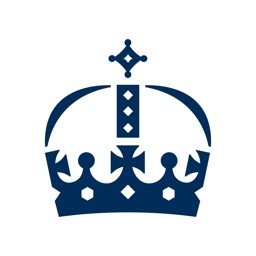 Join the conversation and share your experiences with our social media channels right from your phone. 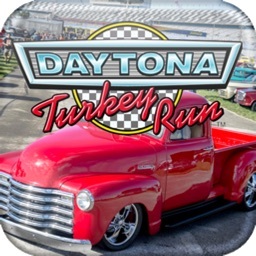 You can even earn rewards and experiences such as a ride in a pace car through the DAYTONA Rewards program all within the mobile app! 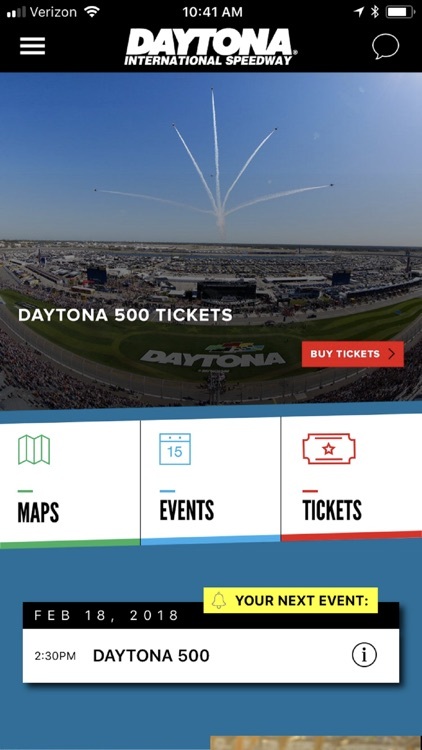 Everything you need from when you're planning your trip with detailed maps to when you arrive at the "World Center of Racing" and are finding your way around the 500 acre facility is all within your hands in the Daytona International Speedway Mobile App! 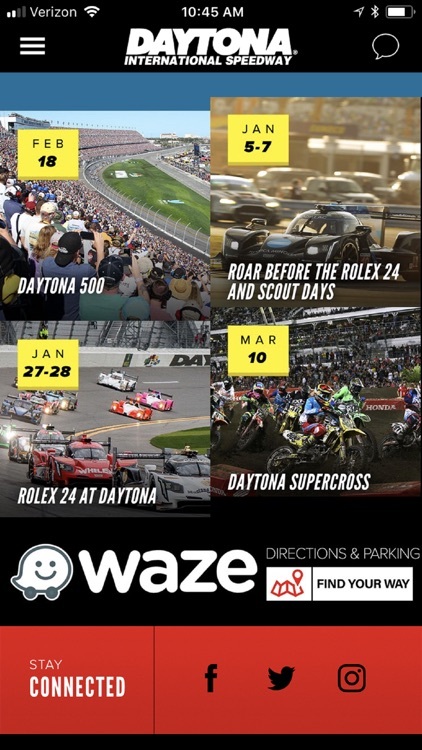 Headed out to the Daytona International Speedway this weekend? 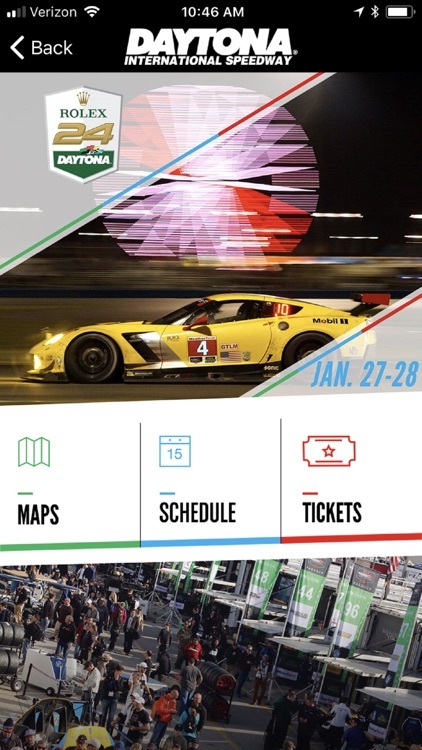 Make sure to grab a free copy of the official app, a full-featured interactive resource guide for everything going on at the track.